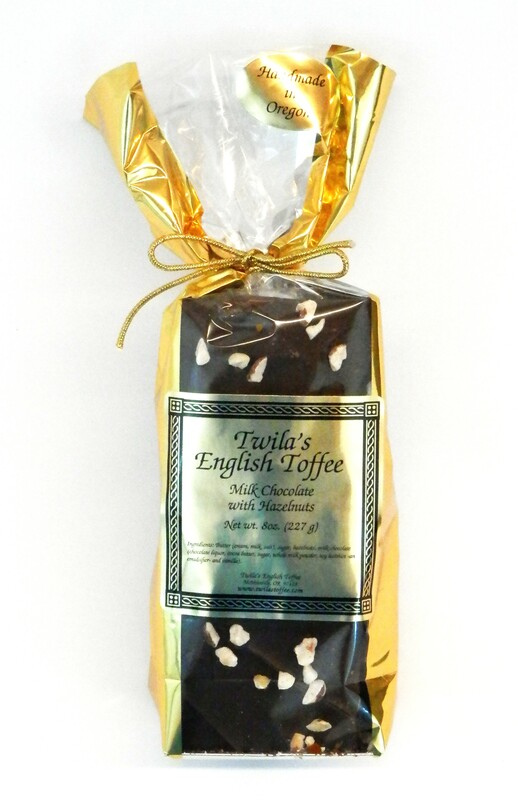 Twila’s English Toffee is a handmade buttery rich delight. The nutty toffee is poured wafer thin to assure a crisp melt in the mouth quality. This almond toffee is coated with an elegant, dark semi-sweet chocolate.